This combo pack comes with the lines and dacron backing already spooled so you can get your line in the water even faster! 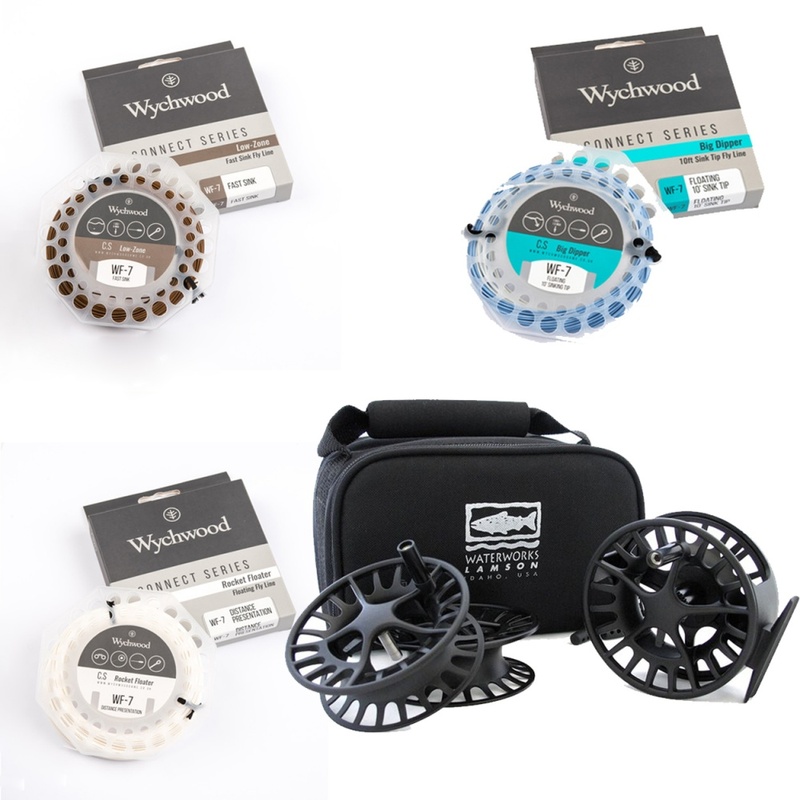 The Liquid 3-Pack includes one Liquid reel and two spare spools in a nylon carrying case all for the price of one reel and one spool. Liquid offers everything you need in a fly reel at an absolute bang for your buck—and this new combo pack opens up easy interchangeability for the multifaceted angler at even more of an extreme value. Liquid spools are compatible with Remix and Remix HD reels. Here‘s a fly line that can make all the difference on those days when the trout are loathe to rise, yet are happy to cruise just subsurface. The Big Dipper is an 'in between line' which is ideal for presenting your flies, with maximum control, in that ‘critical zone’ the top few feet of water where most feeding takes place. The longer, sinking tip section, allows the flies to fish at a different angle to the shorter Little Dipper, it will also get them deeper down in the water column, should you need it to. For maintaining a good fishable depth whether you choose to fish with lures or the more imitative approach, the Low-Zone line will be key to your success. The steady sink rate is an ideal choice for fishing teams of flies through the water column use a fast retrieve for the surface layers and slow steady figure of eight for deeper work. This is the perfect small Stillwater sinking line, which will work extremely well when it comes to fishing everything from nymphs to lures. This Rocket Floater has a bullet-shaped taper which will let you load the rod super fast, allowing you to get that fly out where you want it with the minimum of fuss or disturbance. Ideal for fishing from a drifting boat, or on the bank where punching a line into a headwind is required.